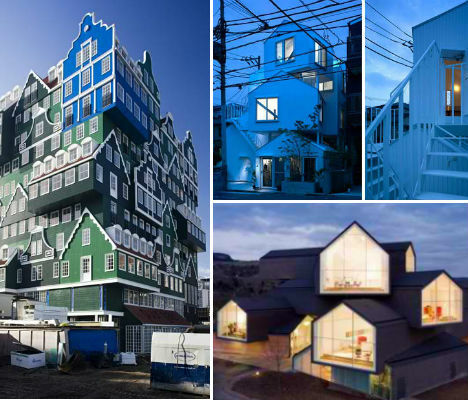 Multi-level structures with a bit of extra flair, these three designs for an apartment building, a hotel and a gallery space consist of stacked volumes that look like little houses piled on top of each other. While the VitraHaus by Herzog de Meuron, the Inntel Hotel by WAM Architects and an apartment complex by Sou Fujimoto have little else in common, all three utilize this eye-catching visual effect. 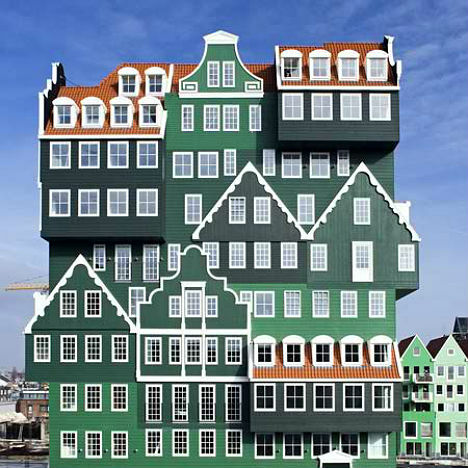 The stacked structures of the Inntel Hotel are shaped like the traditional dwellings of the Netherlands, in a tribute to the nation’s architectural history. Eleven stories tall, the structure seems to be an entire neighborhood all in one volume. 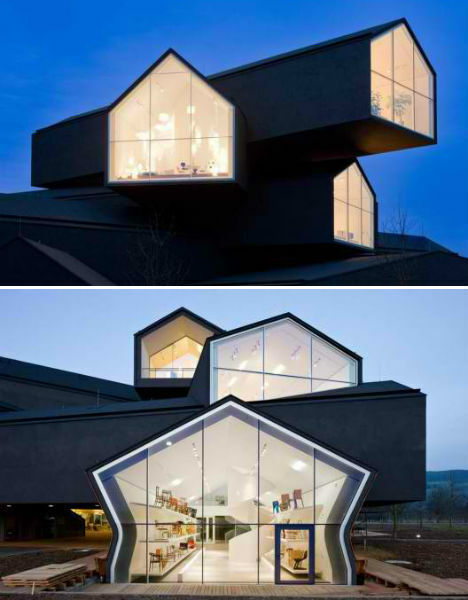 On the grounds of the Vitra Campus, which is a veritable architectural museum with works by the likes of Frank Gehry, Zaha Hadid and Tadao Ando, is the VitraHaus, designed by Herzog de Meuron. Serving as a gallery space for Vitra’s Home Collection, which is a showcase of contemporary interior design, VitraHaus is made up of five stacked volumes of a ‘domestic scale’ with individual houses cantilevered over each other. Then, in Japan, we have this curious structure: an apartment building that seems to be made of several pre-fabricated housing units haphazardly joined together into one vertical structure. 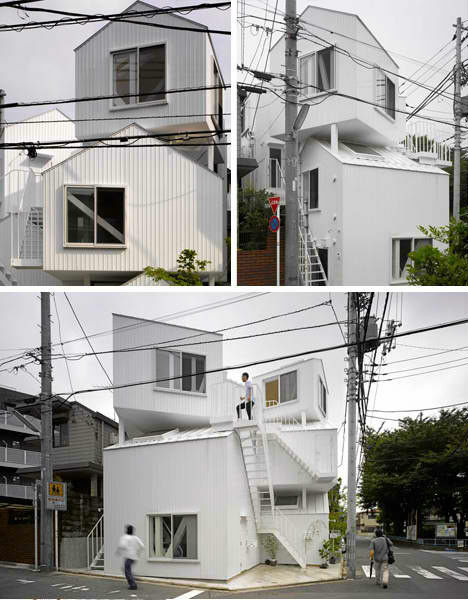 While the effect is certainly far from that of the Inntel or the VitraHaus, this quirky structure by Sou Fujimoto with its many strange alcoves and transparent transitional spaces does make interesting use of a small plot of land.